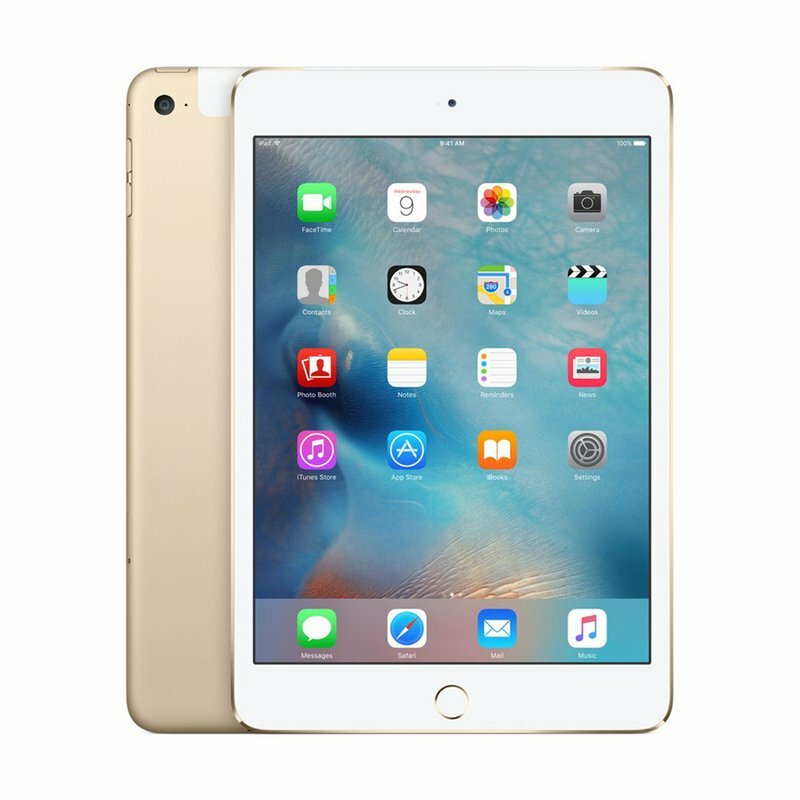 iPad mini 4 has a gorgeous 7.9-inch Retina display, yet it's only 6.1mm thin and weighs just 0.65 pounds, making it small enough to hold in one hand. It has a powerful A8 chip with 64-bit desktop-class architecture, advanced iSight and FaceTime HD cameras, Wi-Fi and LTE1 connectivity, iCloud, the breakthrough Touch ID fingerprint sensor, and up to 10 hours of battery life. It also includes great apps for productivity and creativity, and powerful new features in iOS 9 like multitasking. And there are even more incredible apps available in the App Store.